January 9, 2017 January 9, 2017 Dr. R. A. As humans whenever we are in need we do not like to make it known. If we should choose to reveal our need, then it will be to a very close friend or relative. Many of us would rather do without something than having to ask for it, and if we should be courageous enough to ask then we do not like to repeat such an action. As a matter a fact we become even the more reluctant if we are faced with opposition. Often we take the same approach in prayer. We believe that since God knows us and our needs, then we should only ask once and receive that which we seek. As such, I believe that many times our prayers are not answered because we give up too quickly. We allow pride and shame to settle in our hearts which blocks us from receiving. A story was told in Luke 11 about a man who needed bread for his friend who had visited in the middle of the night. He went to his neighbor who was his friend and asked, but the friend responded “do not bother me. The door is locked for the night and my family, and I are in bed. I can’t help you”. This shows that there was a definite obstacle in the path of this man’s need being fulfilled. He could have chosen to walk away because of shame. Nevertheless, the story continued letting us know that although this man’s neighbor would not give him bread for the sole reason of being his friend if that man continued to knock long enough his neighbor would give him whatever he needed because of shameless persistence. Persistence means to continue a course of action in spite of difficulty or obstacle. Therefore, it seems like we need to employ the tool of SHAMELESS PERSISTENCE! Shamelessly pursue the course of action regardless of the challenges that we are faced with. 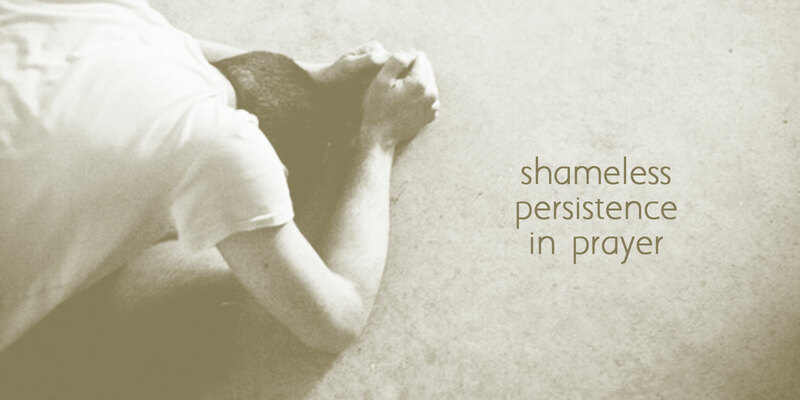 If Hannah did not shamelessly persist in prayer, then she would not have given birth to Samuel. Yes, it was a fact that she was barren and her adversary continued to expose her insecurity and mock her. What she wanted seemed impossible to the natural man, however, she believed in the ability of God to do that which seemed impossible – therefore she received. She was even derailed by the priest when making her petition known. Nevertheless, she persisted, and she received her heart’s desire. This year for answered prayer SHAMELESSLY PERSIST with the tool ASK. Ooh this hit hard. I do give up sometimes in prayer and am not always persistent. This was a good reminder that I need to persistently wait on God and not give up in my prayer life. Thank you for that reminder!